Is extra virgin olive oil the elixir of youth? 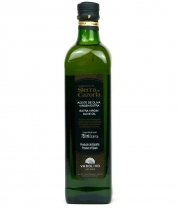 Exttra Picual is a cold-pressed extra virgin olive oil made from early-harvest picual olives. Knolive, Rincón de la Subbética, and Oliveira da Serra are the most highly-valued EVOOs in the world. Give them as gifts. Regional oils from all around the world savor this sweet moment thanks to the tendency to give EVOO. Nobleza del Sur stood out at Olive Japan 2018 and launched its first EVOO for children. One of the principal Olive Oil competitions in the world, OLIVE JAPAN International Extra Virgen Olive Oil Competition, took place in the month of April. Macaroni salad with natural tomato, EVOO, garlic and arugula. Can you think of a better idea of combating the heat than a fresh and healthy pasta dish? To us, no. Do you know of the latest in Gourmet products? Allow us to introduce you to No Ni Ná, the brand of excellence in innovation with gourmet products and EVOO. There are certain dishes that in the summer should never be forgotten, even in the winter you miss these dishes. The avocado, King of breakfast.